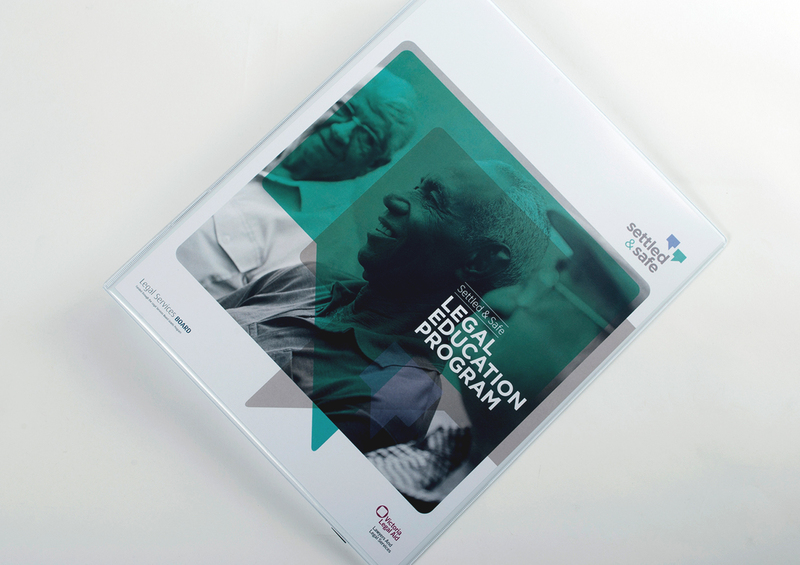 Client: Developed by VLA, Settled and Safe is a statewide legal education training project aimed at preventing family violence in newly emerging culturally and linguistically diverse (CALD) communities. 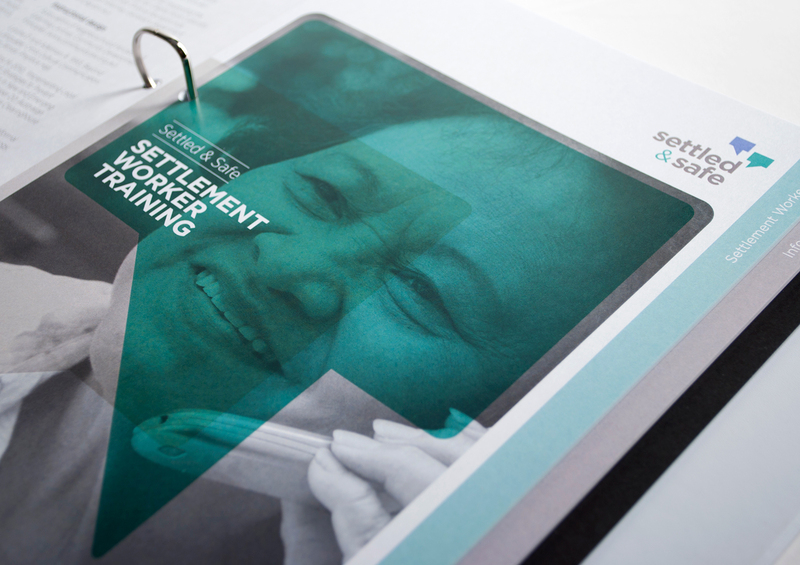 Brief: Our task was to design and produce a durable training manual to be used by training staff across the state. 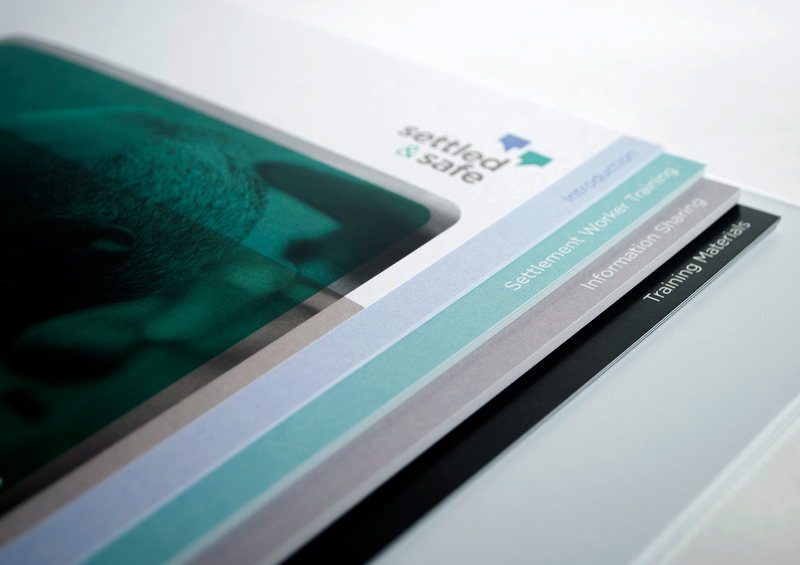 Solution: The Settled & Safe training manual is a large document (120 pages) which is constantly being updated. To combat the cost of this, we recommended the use of a ring bound folder with removable pages. The topics were seperated using stepped pages creating tabs for the user to easily navigate. 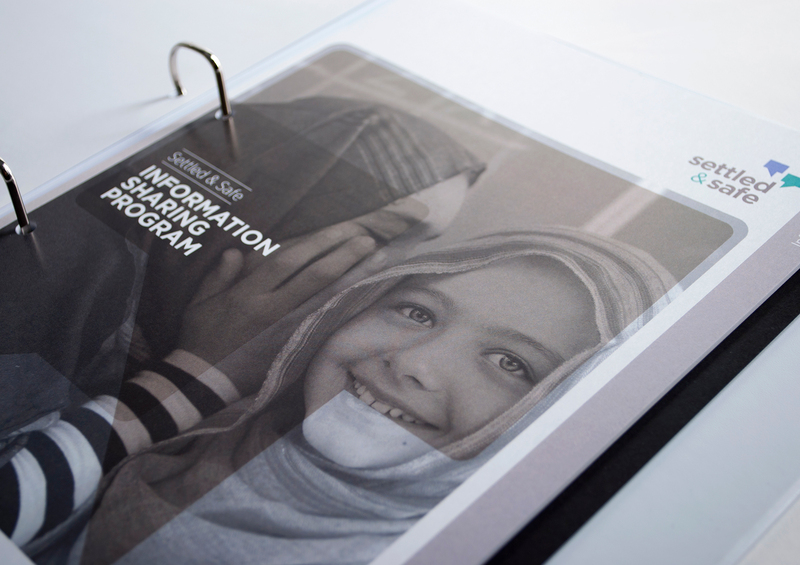 Monotone images were used to compliment the key identity colours, giving the document a fresh and positive appeal. Result: Settled and Safe is a highly successful program which has been embraced by community centres throughout Victoria. The information is updated on a regular basis at a very minimal cost.